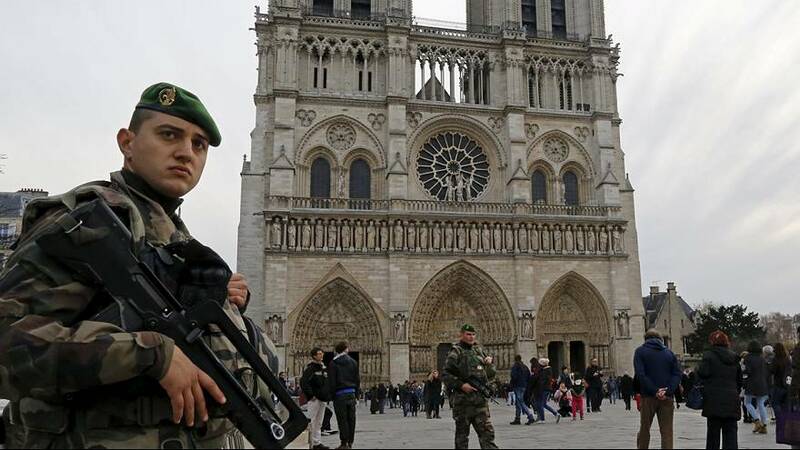 France is tightening security around its places of worship amid concerns about potential extremist violence during the festive season. It is just over a month since the Paris attacks claimed the lives of 130 people, shaking France to the core. There are visibly more soldiers on the streets and in places where people are likely to gather. Churches will only keep one door open to allow congregations to be filtered, while worshippers may be searched on entry. Cazeneuve has also said one terror plot in the Orléans region was foiled last week. To Frenchmen aged 20 and 24 are in custody and are said to have been planning an attack on police and army personnel. Both are believed to have been in contact with another Frenchman currently in Syria who is suspected of organising the attack. There are 45,000 Catholic churches in France, 4,000 Protestant churches and 150 Orthodox. Security guards will be posted at the doors of religious buildings while some entrances may be closed to allow crowds to be filtered in. Worshippers may be asked to open their coats and jackets to show what is underneath while congregations will be asked to point out anyone who is acting suspiciously.